Just as America tries to work up enthusiasm for the 2nd generation of Romney office holders comes word from Massachusetts: someone still believes in Camelot. Or what a marketable name and a possibly fractured field can do in a primary. The open seat created by Barney Frank’s retirement has brought forth a Kennedy, preloaded with pap for the rubes. Joseph P. Kennedy III has let it be known he feels a call to service, and he’s aghast at the nation’s bickering pols. Vowing to rise above, young “3rd,” as no one calls him, has boldly called out “partisan gridlock” [against it!]. With luck, we might enjoy a round of Hugo Chavez Baiting because of Kennedy’s father’s ties to the cancerous Comandante. Last go round the nation was spared the indignity of Nixon offspring holding office from Long Island. Now it falls to the voters of Massachusetts’ 4th to save the republic once again. Portly torture enthusiast, former Bush speech writer and stain on the Washington Post op/ed page Mark Theeson is out with an exciting new line of pretend argument: that unless Obama mans up and fully enjoys fighting both depression and war he’ll end up a spent husk like Lyndon Johnson. For purposes of lamenting Obama’s failure to use his oratorical powers in service of hustling the East, Thiessen assumes the guise of someone excited about expansive federal government, saddened by the stunting of LBJ’s Great Society. A stance not often seen in the folds of the American Enterprise Institute, where the creator of wistful love notes to safely dead Democrats lies. We note with regret the political passing of the Philly Scrambler, Senator Arlen Specter. 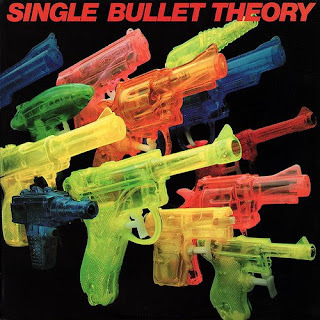 “SBT” clearly won the public’s heart, with countless homages in pop culture, not least two bands carrying the name.